Easy One Command Set Up. For instructions on how to install the world download, click this text. 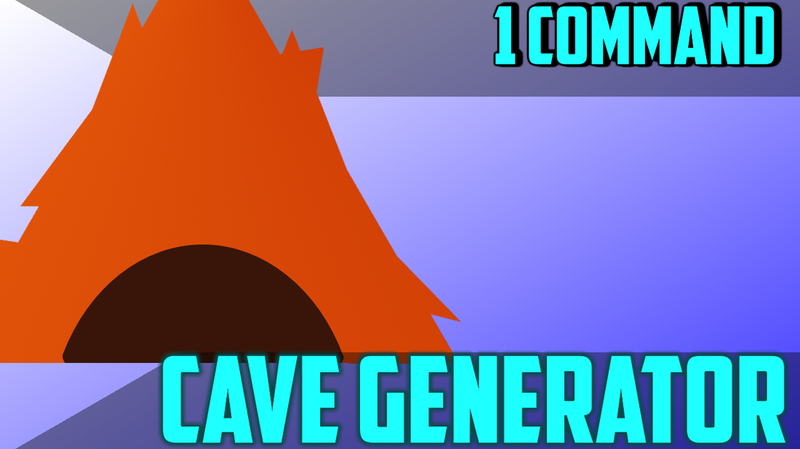 "Cave Generator" allows you to make massive, customize-able, complicated caves to the game. 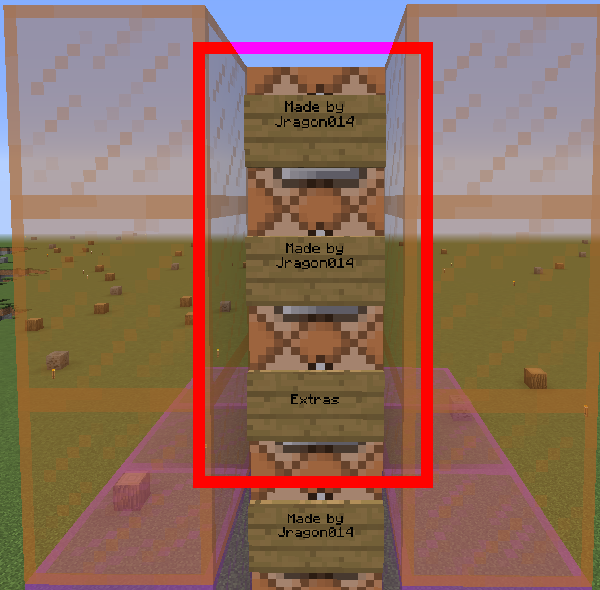 -Place the "Ravine Maker" armor stand to make a ravine. 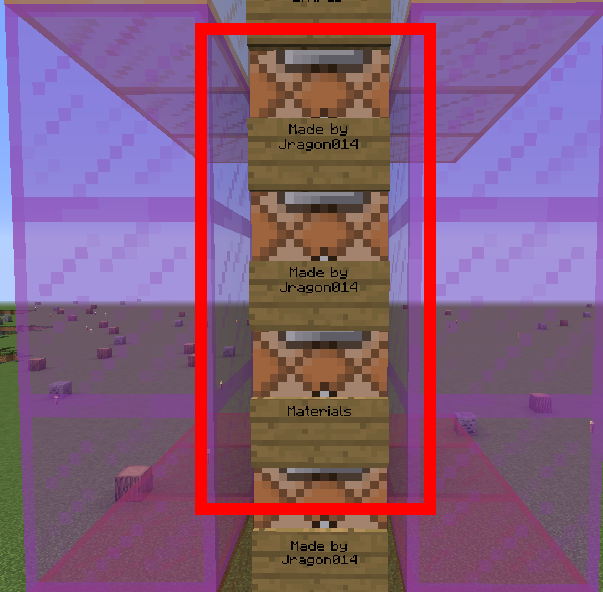 -Place the "Edit Ravine" armor stand to edit the way a ravine is generated. -When you are done editing, place the "Save Ravine" on the bottom lapis block of the control panel. Placing it anywhere else will break the machine and you will have to kill all armor stands with /kill @e[type=ArmorStand] and then reinstall the machine. Use the search bar to find the name of the material you are searching for. Take note of the data value. 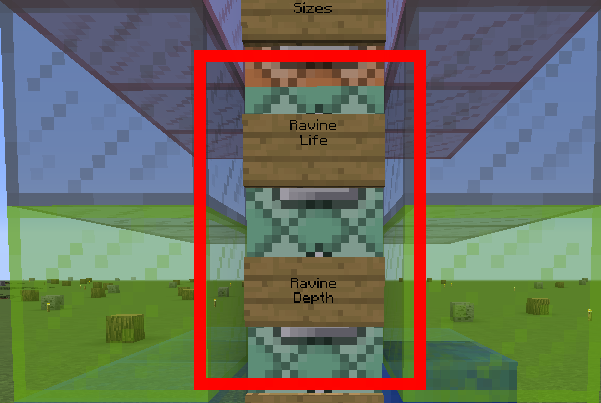 Here you can edit the size of the chambers of your ravine. But default, it is set to 5, 6, and 7. This means the size of the caverns vary between those numbers. If you change the numbers to something like 4, 4, and 10, it will be mostly huge with small tunnels in between. The materials determine what the cave is made of. By default, it is set to "log 0" "planks 0" and "planks 1". "snow 0" "packed_ice 0" and "glowstone 0" will mean your cave is made of packed ice, snow, and glowstone. Warning: Do not choose hard materials like stone or obsidian otherwise the cave will not generate correctly. 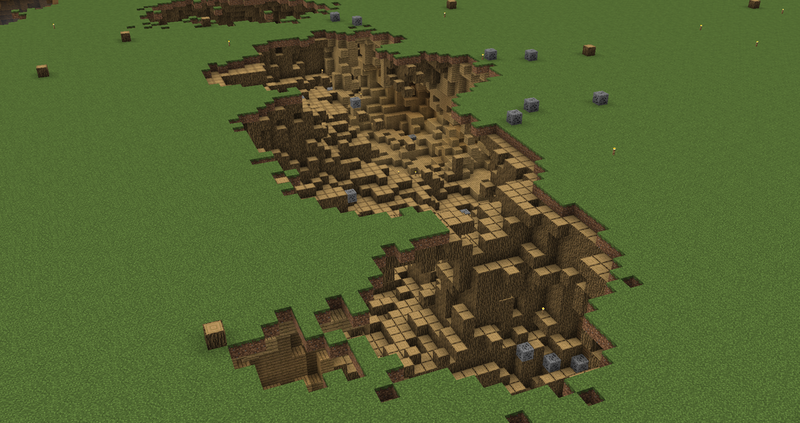 Instead, use a soft material, and replace it with stone after the cave is generated. Extra materials are summoned in randomly to populate your cave. By default it is set to: "log,Data:0" "torch,Data:0" and "coal_ore,Data:0". This means the cave will randomly place coal ore, logs, and torches throughout the cave. will mean sea latnerns, spruce planks, and cob webs will spawn in the caves. - Sets off 1000 explosions. - Creates 1000 extra materials. - Takes 50 seconds to generate. ​You can increase and decrease this number as you please. This number determines how deep the cave will be when it generates. By default, it is set to 100. Halfing this number will double the depth of the ravine.